1--The Shows Are Equal to the Rides--this is true whether you have a baby or not. Planning on a few shows and street performances not only gives you a break from the rides but allows you access to Disney quality productions. 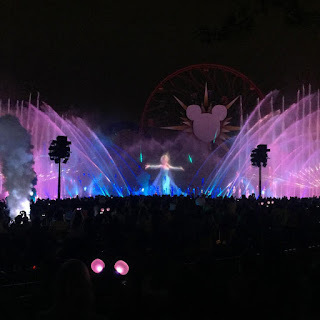 We watched the electrical parade (thanks for blowing a kiss our way, Elsa), the fireworks, World of Color at DCA (my boys went crazy when BB8 came on), and my favorite, Aladdin. The Genie was a stand up comedian with zingy one liners that even my teens were quoting all week. Add to that the incredible costuming and special effects and we just saw a performance equal to the price of admission. The theater was air conditioned (did I mention it was 95 when we went) and gave everyone a much needed break in the day. 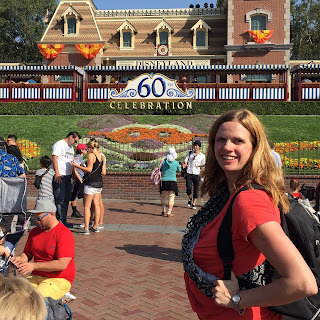 2--Pumping in the Park--in previous blog posts I've mentioned breastfeeding throughout the parks (its not hard). But with my cleft affected baby, I exclusively pump. I found trying to find an outlet when it was pumping time to be difficult (probably because I was chasing toddlers). My backpack pump has a battery operated adapter, which was a life saver. That meant I could pump in the middle of a playground (we love Redwood Creek Challenge and Goofy's house) or even when standing in line. The 10 minute wait to get into the park became a prime pumping opportunity. I just recommend wearing your easiest pumping shirts. For those a little more timid, both parks have amazing child care facilities where you can pump or feed baby including an assortment of baby food and formulas for sale. I did pump at DCA's baby center while my kids indulged with Dad at Ghiradelli's. It was kind of a win-win. 3--Cover those Ears--many of the rides are too loud for baby. We just put our hands over baby's ears and let her enjoy the moving parts at half the volume. Parents with sensitive toddlers might want to consider bringing ear plugs. 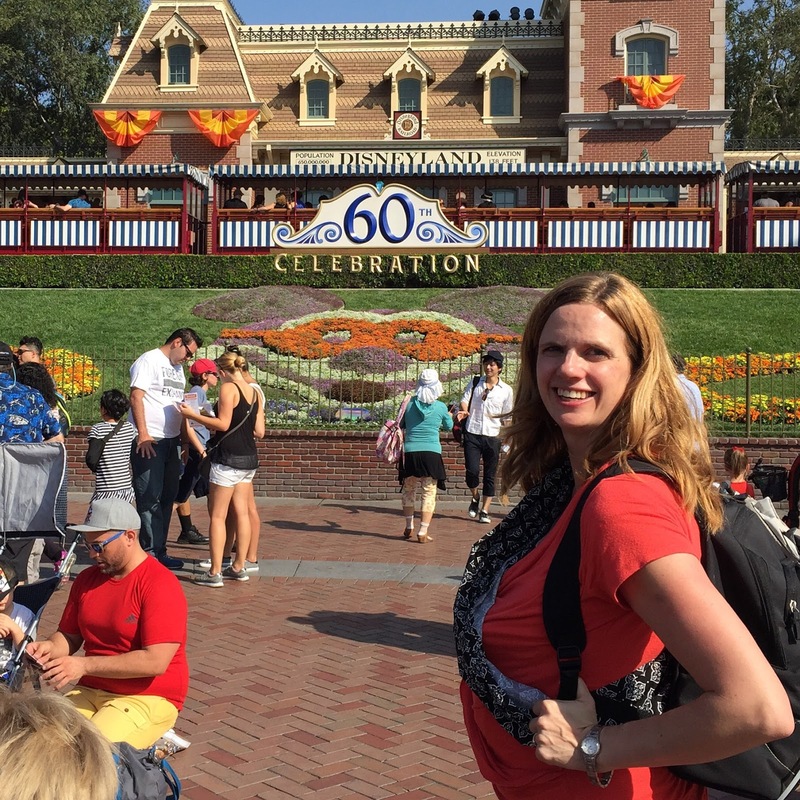 4--Bring a Sling and a Stroller--Disney without a stroller isn't adventurous, its just plain crazy. But in addition to a stroller, a good baby carrier can make life much easier. Strollers don't go in lines and baby may want to be held from time to time (they are funny like that). With younger babies, I use a bjorn but I've heard positives about lots of wraps. For a 5+ month baby, I use a seven sling (www.sevenslings.com). It folds into my diaper bag and costs around $12 with a coupon code. My baby probably averaged 6-7 hours in the sling. The sling also kept me be hands free. 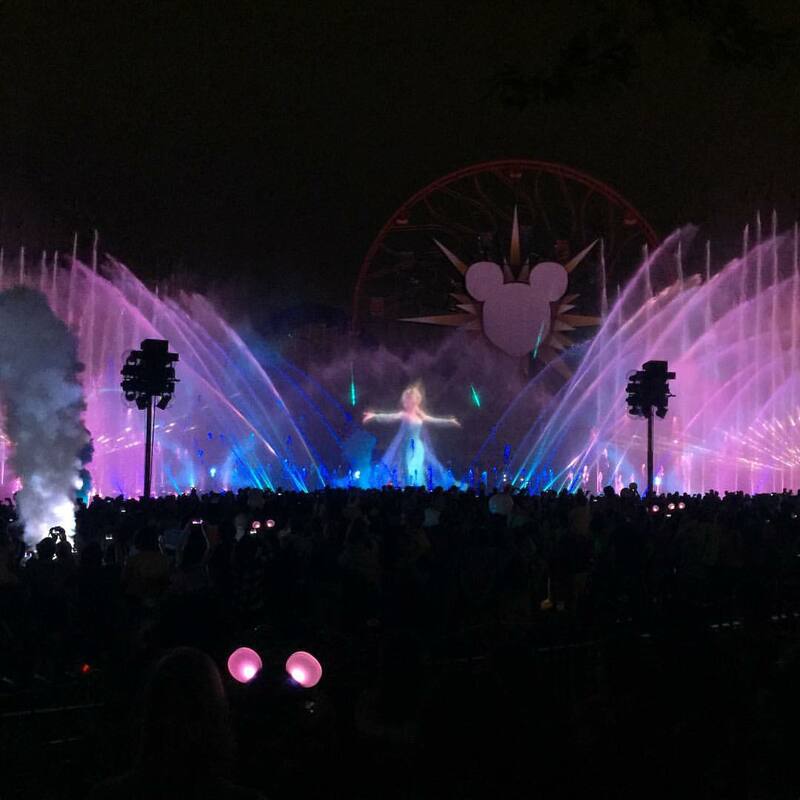 5--Lower Your Expectations--Disneyland is suppose to be the happiest place on earth but based on some people's faces, they need to add xanax into the drinking fountains. The problem is unrealistic expectations. We managed not only to have near record heat, but also near record crowds for a late September Wednesday. On a day the park should have been empty, it was packed and humid hot. It was so busy, Disney extended park hours (I didn't know they would even do that). Did this ruin our vacation--of course, not. We had a general plan and changed it up as necessary. With a baby in tow (and we had 3 kids age 4 and under), you have to be flexible and not try to see and do everything in one trip. Relax, enjoy it. Go on a few rides, watch a few shows, take a break and come back or sit at a playground. 6--Extra Outfit--With any baby this is a possibility, but our little cleft cutie has a way of spitting food out her nose. Between that and the unpredictable diaper region, an extra onesie (or two) in the diaper bag is just common sense. 7--Shade Oriented--Whether it is hot or not, Disney is almost always sunny and younger babies can't wear sunblock. I found myself constantly positioning baby to be in the shade (fortunately plenty of shade abounds). This included where I parked my stroller and how I stood in line. Some babies do great in a hat (mine yanks one off and screams). And don't forget to watch for little toes that stick out of baby carriers and strollers--those little piggies could get sunburn. With a good afternoon nap, we were able to stay up late (who wants to miss fireworks anyway) knowing baby was safe with the sun already set. Do you have any baby tips? thanks for the share . Baby Disney Vacation is really important to baby. The clarity in your submit is simply great and i can think you are knowledgeable in this subject. Does Ufone Have 3G Coverage In Kharian? backpack diaper bagsCheck out our amazing range of backpack diaper bags. These are good for newborns.